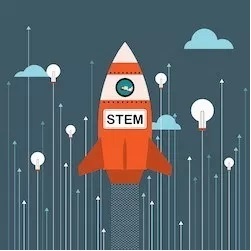 Yesterday, 01/04/19, was the day that primary 6 and 7 went to St. Augustine’s to compete in the Dyson Challenge. All of the cluster schools took part in the competition. We had to either design a new product or improve something that has already been invented. Out of about 70 other contestants, Georgia, Mirren and Jessie were a judge’s favourite and got highly commended! Their idea was to improve a vacuum that would improve the lives of others. They designed it so that it came with straps for people in a wheelchair and an earpiece for the blind! They got a certificate! 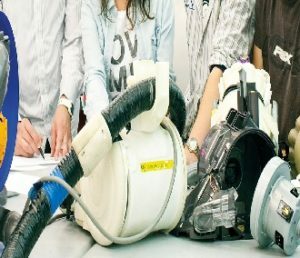 Adam, Liam, Jude and Scott won the Dyson Challenge. They designed a car that is charged by solar energy. It can also charge every time the wheels spin. It was designed to conserve the environment. They got a certificate and a £10 voucher for WHSmith. To finish off with a big well done to both groups for doing so well in the competition and a well done to everybody else who competed! Another literary success in St Margaret’s! 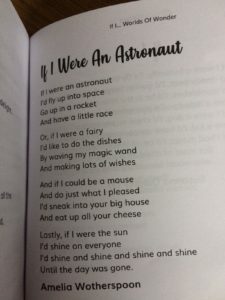 A pupil in Primary 3 has had her poem ‘If I were an astronaut‘ published in a book of children’s poetry. 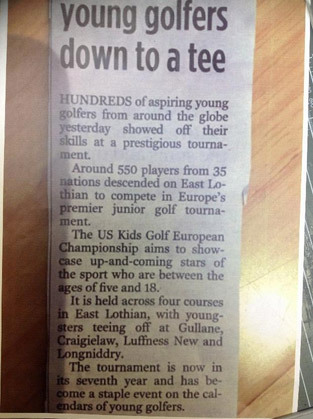 What a fantastic achievement, very well done! 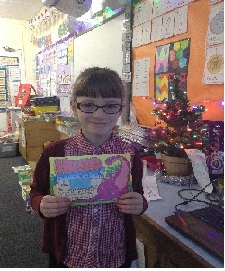 Perhaps another budding author of the future! 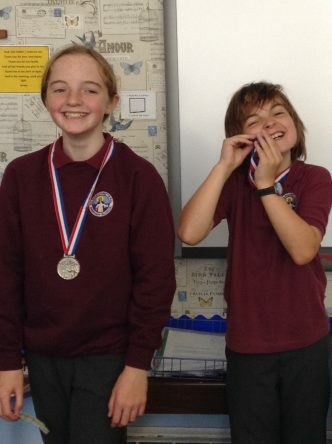 If you are interested in writing just like these pupils and you would like to know more about how authors write their books and get ideas click HERE. 2018 is the Year of Young People. One of our aims is to give young people the chance to express themselves. a place that has a special connection to you. The possibilities are endless – haiku or prose, a poem or tale, a kenning or ballad, a story inspired by a visit or holiday. It is up to you! 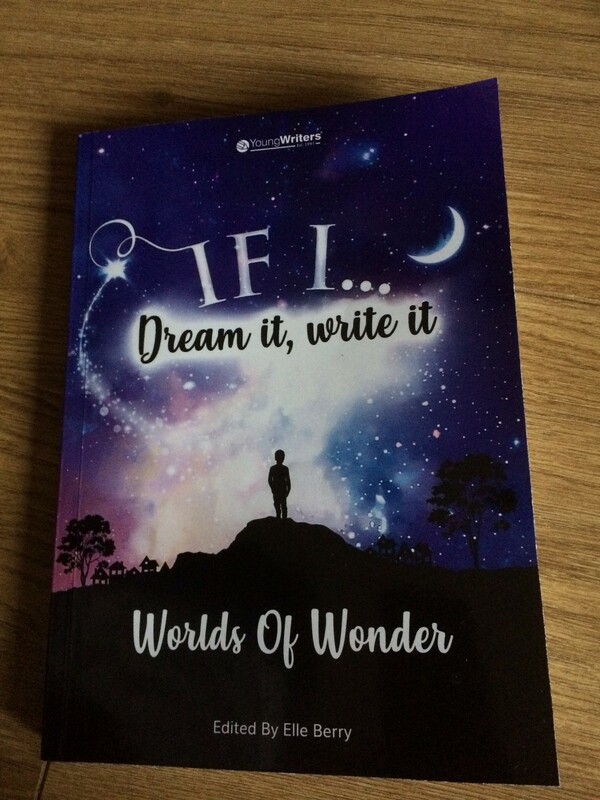 Please find below the winning entry itself, please sit back, relax and enjoy reading this fabulous piece…..
Sauntering through the Ferry Glen… I am a great explorer-not Christopher Columbus, not Sir Edward Hilary… I am L. G.! Deeper in I go… I bring out my magnifier and like Superman I slowly pick up a heavy rock. Unexpectedly, a tiny spider scurries away. I can hear the wee birds chirping joyful tunes as they call for a mate. Spring is here! Studying an insect as small as a grain of sand. Nature is truly amazing. I can smell the sweet scent of fresh flowers bluebells, poppies and thistles, Tall trees full of delicious fresh fruits and leaves. A wild rabbit emerges from the bush, scavenging for food-watchful of the fox. Deeper I venture into the Glen. A golden-furred dog racing by after the rabbit. Fortunately, the owner stops it just in time. I can see the beautiful buds blooming and the flowers blossoming from the ground as new life appears. The bright morning sun beaming on the stream flowing softly. I notice tadpoles swimming through and a frog happily jumping in the long, wet grass as I reach the end of my journey. This is agent G. signing out. 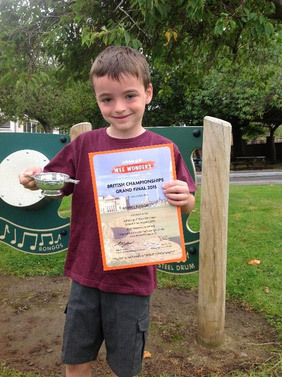 Latest News August 2018: Aidan has been doing so well recently that he has had an article published throughout the UK about him and his upcoming competitions. Please click HERE to read it. 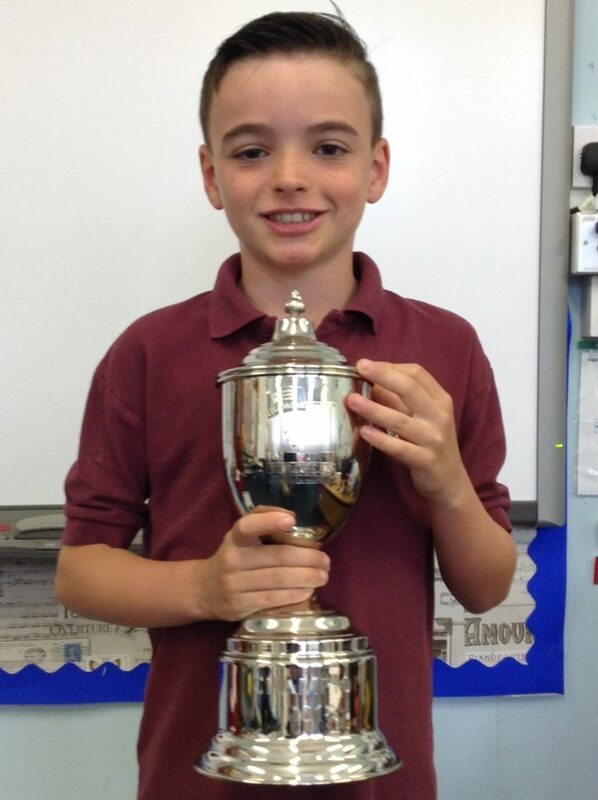 Another hearty congratulations to Aidan, our resident golf champion, who has won the European Championship. Wow what fantastic resilience and mindset from Aidan there. We’re all very proud of you. Keep up the excellent work! 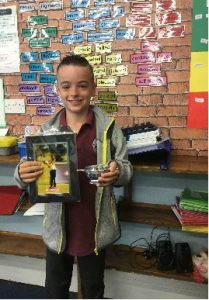 A huge well done to one of our pupils in Primary 5 who has won the Winter Windows Competition this year with their wonderful 3D window design. Please visit the Winter Windows website to see where and when the displays will be made public, click HERE. 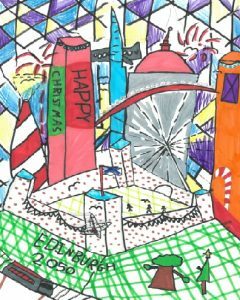 “On Friday 24thNovember my parents and KW accompanied me to collect my prize and certificate for being a winner in the Edinburgh Windows Competition. I designed a stained glass window which WON!!! At the start, there was a drinks reception. Then we went into a cinema room and waited until my name was called. I went up to the front and then we had a photo taken and I received a prize, which was a hot chocolate and free ride in Santa Land. Great! Finally, I saw my amazing window-which is at Saint Giles’ Cathedral in Edinburgh. 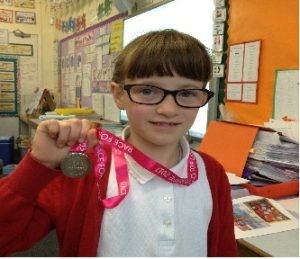 One of our successful sporting pupils has had another wonderful achievement. Read his recount here.. 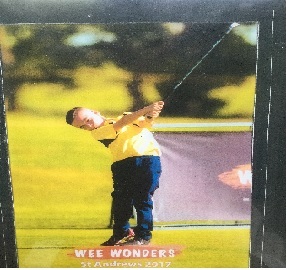 I recently played in the Wee Wonders British Championship Finals in St. Andrews. I had to play 3 rounds over 2 days. On the Saturday I played 2 rounds which was tiring but my first round was great so that gave me confidence to keep focused for round 2, I finished 2 under par and the overnight leader. 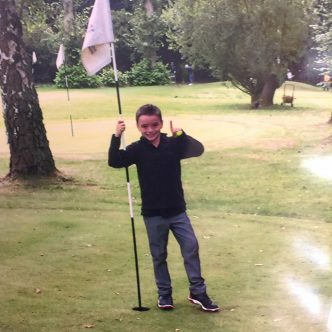 I was really happy because I played great golf. On Sunday I was playing great but messed up the 6th hole so I was only 1 shot ahead. I was really nervous but I focused very hard and played the last 3 holes very well and won the competition by 4 clear shots. 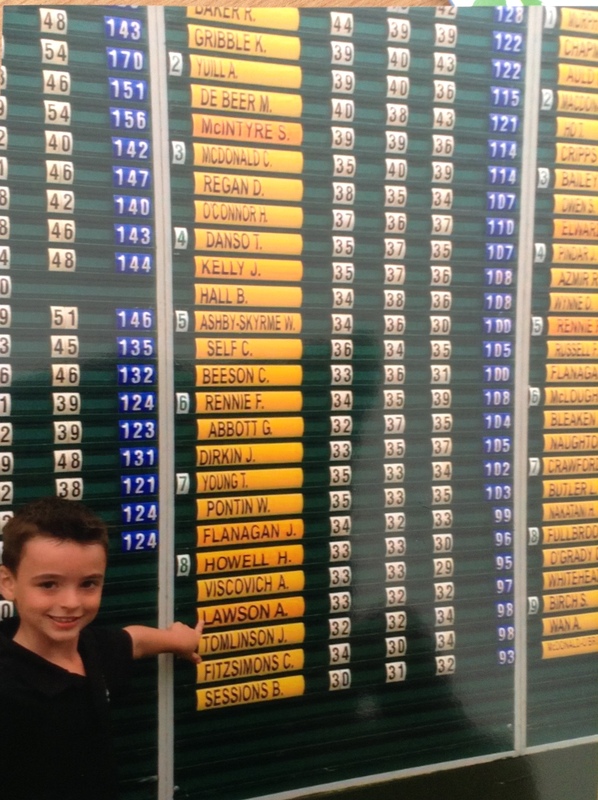 Finishing 1 under par and set a new record of the lowest result ever! It was really hard work, but I was so happy when I won it. By AL. On Friday the 12th of May I took part in a Race for Life. It was in Hopetoun House, half way around you got given a cup of cool water. You ran through a wood and then around the actual house itself. When I finished I was given a medal and some more water. For the race each runner had a number and my number was 6, as well as this you had a sign at the front of your t-shirt with the reason why you were running on it. On mine I wrote that I was running to help fight against cancer. When I crossed the line I got a picture with my Mum who was running too, she was number 10. I really enjoyed the day and I’m proud of accomplishing my longest running distance yet! By M.G. 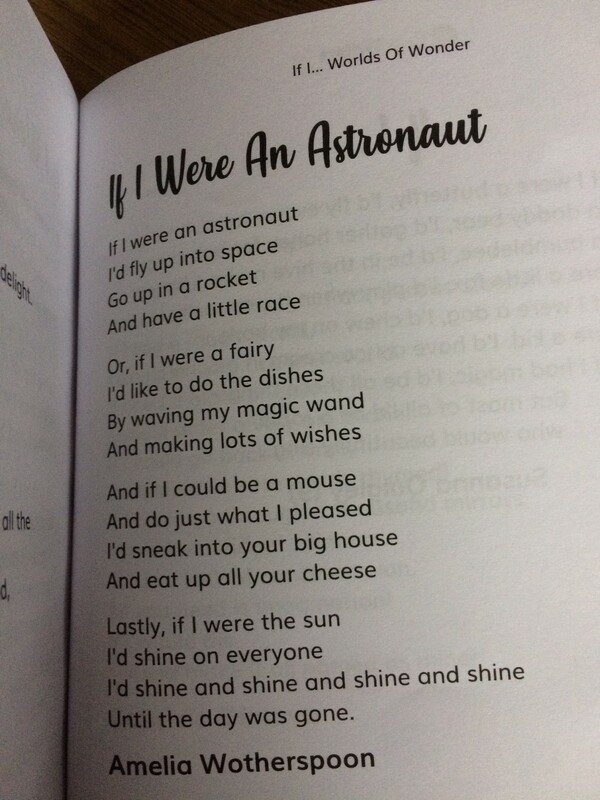 This pupil wrote a wonderful poem as I’m sure you’ll agree….. Animals bring the joy to humans. 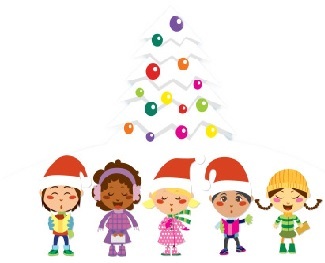 They bring joy to everybody all around the world Africa, Spain, Greece, Europe and Asia. the cows and sheep have their fields and the pigs have their soft muddy ground. They live in farms and pens some people even look after them. You have to be so grateful if you have them some people don’t even have one. Yesterday St. Margaret’s Singing Group were singing in front of a great deal of people on South Queensferry High Street. 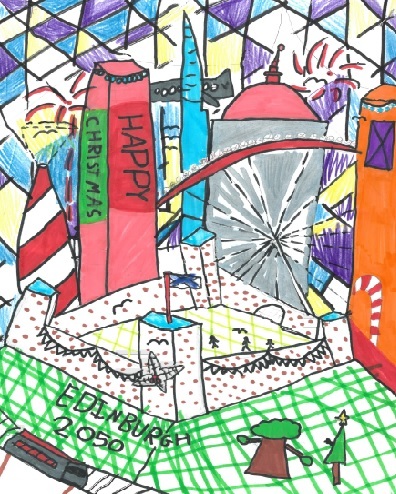 St. Margaret’s School was the last school to sing yesterday we sang ‘Ding dong Merrily on high’, ‘Don’t forget Bethlehem’ and ‘Santa Claus is coming to town’. My favourite song was ‘Santa Claus is Coming to Town’ because people laughed when I put on my beard when we were singing the song!  Yesterday everybody could hear us clearly when we were singing our songs. Every school sang 3 songs and people were even dancing along with us. People that were looking at us said our school was the best singing group. My friends came to see us sing. I was so nervous when I got on the stage to sing our songs. But that soon passed and everybody was brilliant at singing. 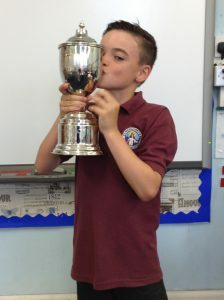 This is the story which came runner up in the Edinburgh Ghost Story Competition run by City of Edinburgh Tours with Edinburgh Museums and Galleries. Eventually the gates were open and Amy’s family could see Edinburgh Castle. During the tour Amy decided to examine the throne room. BANG! The one o’clock gun had fired… however it was only twelve thirty. “That’s rather odd” Amy thought. Suddenly the lights glowed, desisted, then the howling of the chilly air abruptly entered. “Hello?” A small boy about the same as Amy had appeared. “Will you play with me?” he asked. Amy gave no reply as her parents had told her not to talk to strangers. The boy had a peculiar look: his hair was jet- black and his chalk-white skin was covered in soot and dust. “Who are you?” Amy stammered. “I have plenty of dolls or we can play on the rocking horse.” Although she knew he was bribing her she agreed. Her guts said no but her words said “yes”. They spent hours together playing and when the dark came creeping in Amy decided she had to go. “I must go!” Amy stated. Amy tried to call for help, but no words left her mouth. She ran to from where she had entered. The gates were closed. “Like I said, no way out!” The strange boy started to bellow with laughter, so hard that Amy could hear nothing else. “You’re just like the rest of them, I only want a friend” he growled aggressively. Amy woke up, she hoped it was just a dream. She looked around inquisitively, saw nothing. The one o’clock gun fired. It was only twelve thirty… all she could hear was his laugh. On the 28th of August Angus (P.6) and I (Carrie, P.7) completed a kid’s-size Triathlon in and by Loch Ore. Angus’s category (Tristars 1) did a 100m swim, a 3km bike ride and a 1.4km run. 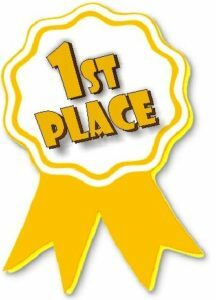 My category was Tristars 2 and we accomplished a 200m swim, a 6km bike ride and a 1.4km run. The sun was shining and after a warm up in the loch we set off, Angus first then me second. It was a very enjoyable day. One of our pupils has had amazing success with his golfing. 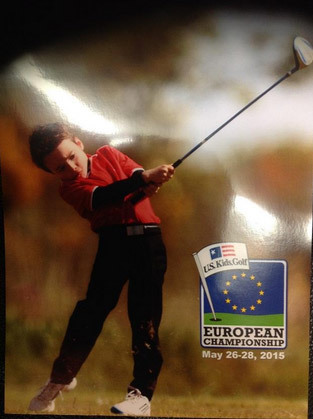 He took part and competed fantastically during the US Kids European Golf Championship. 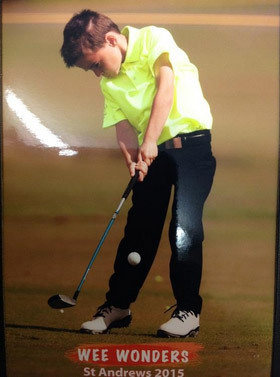 He has also recently competed in Adidas Golf Wee Wonders, British Championships Final at St Andrews. A fantastic achievement and we are all very proud of his hard work and achievements. We are right behind him and wish him continued success in the future. Go get ‘em!